Make the right choice in office space to rent in Durban, where your business can own top real estate while you enjoy a work life balance that everyone craves. In a recent survey released by the Citizen they sited that access to good coffee (1st on the priority list at a whopping 95%) as well as; natural light, eateries and comfy seats make for a happy workforce. Offices to rent in Durban have become a popular choice for companies who are realising success lies in not only being professional but also offering their employees a second to none work life balance. Our office space to rent in Durban has its convenient address in Umhlanga, with a sea view that will stimulate your energy and creativity and make your 9 to 5 more enjoyable. Convenience and location are key to business success. Our clients love the coffee and lunch in the reception area and the enhanced user experience as well as the energy efficiency allow for you and your employees to get the balance your business needs to triumph. You can watch and experience the relaxing Umhlanga business environment and come and visit us for a delicious cappuccino with an excellent view. 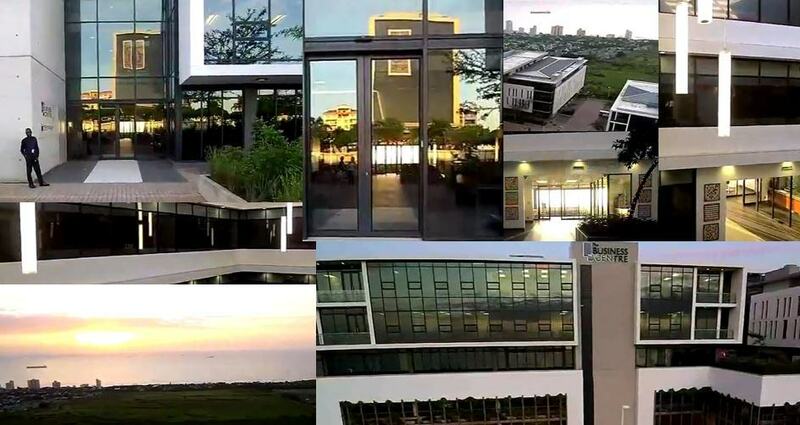 What makes Umhlanga Office Space unique? We asked Ryan Botha from Source Finance and his response was “Always a pleasure to meet clients here and other business associates” and what about the office space to rent in Durban? “The ease of use of the services has also been a big plus for us.” Said Ryan. If these successful companies are happy then why aren’t you? Umhlanga has become the thriving innovation hub as a gateway into Africa of all successful enterprises. The beautiful scenery, fresh air and “hustle and bustle” of trade make for a unique working environment for when you are looking for office space to let. Office space to rent in Durban is a hot commodity and businesses are flocking to do trade in Umhlanga. Choosing the right business partner to support you is imperative and your biggest consideration when viewing the space you will be occupying is cost saving. Contact our Durban office and have a cuppa in our business Café and experience the new way of doing business, after all it pays to lead a balanced work life. Office space to rent in Johannesburg CBD | Go where business happensMeeting Rooms. We’re Back!